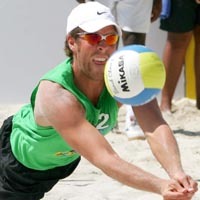 � In the 2008 Beijing Olympics Klemperer qualified with Eric Koreng as the eighth seed. The pair went 1-2 in pool play, but won the lucky loser match to advance to bracket play. They defeated the top seeds in their home country but then lost the next match, finishing fifth.